The physics study is a quite difficult task. Whether it is mechanical, nuclear, optical and electrical processes, it is not sufficient just to learn the theory, You need to understand and feel it. Nothing is more helpful in the study of physics as a visual representation of the physical processes: physics schemes, diagrams, and illustrations. ConceptDraw DIAGRAM allows you to draw various physics illustrations or physical charts of mechanical, nuclear, optical and electrical processes and experiments for active researchers, academics, and students of physics. The ability to design physics diagrams is delivered by the Physics solution. 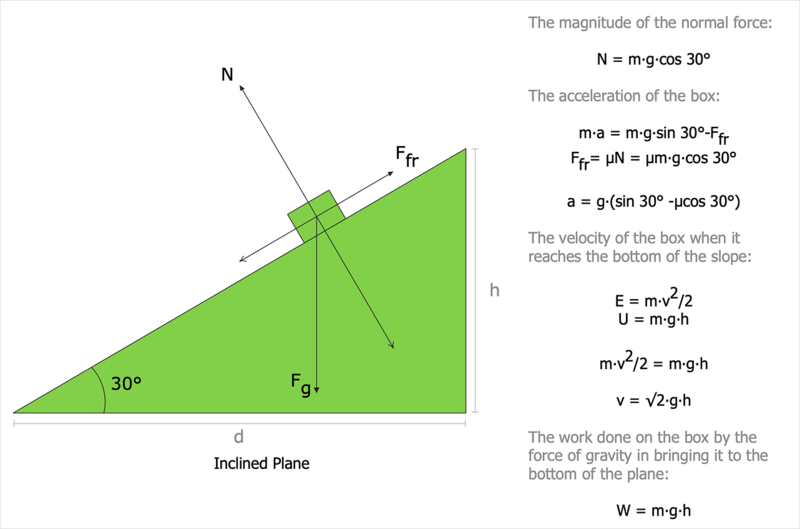 Creating physics drawings and physics illustrations is easy with ConceptDraw Physics solution. You can draw physics diagrams using the proper template, then easily customize it to fit your needs with of scientific library symbols. You can make presentation-ready physics diagrams in a few minutes and use in presentations, export to PDF or too graphic formats. Find the Physics item in the Solutions panel. Select the library you need, and activate it in the Library panel. To do this click the library preview in the Solutions panel. Add library objects to the document by dragging them to the document page. To make changes in your chart use the Action button menu. To open the menu select an object and click the button in the upper right corner of the object. Some objects has control dots for moving or resizing elements to make a drawing more precise. Use the text tool to add an explanation text. Add some color to your drawing using the Format panel. Result: Physics charts can be helpful when you learn Physics, perform experiments, or solve any other tasks regarding Physics.